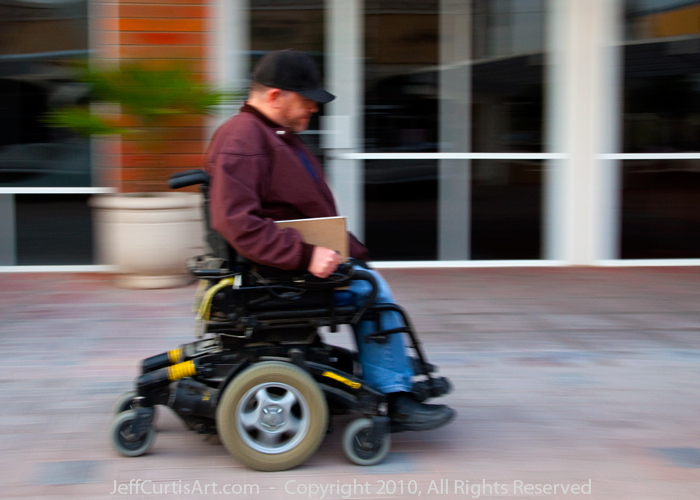 Artist Jeff Curtis, Canon EOS-5d Mark II, Motion test: "Following Shot". A shot of my firend Tim taken with my Canon EOS-5D Mark II. This image was part of a "motion" assignment for Photography I.
followed Tim with the camera as he traveled past me a top speed.